Ramin Bahrani is an American director of Iranian descent. His films are elegant, quietly searing portraits of American society. He was in Cannes with his latest work – a retelling of Ray Bradbury’s classic novel Fahrenheit 451. In earlier films like Man Push Cart and Chop Shop, Baharani has worked, very effectively, with non-professional actors. 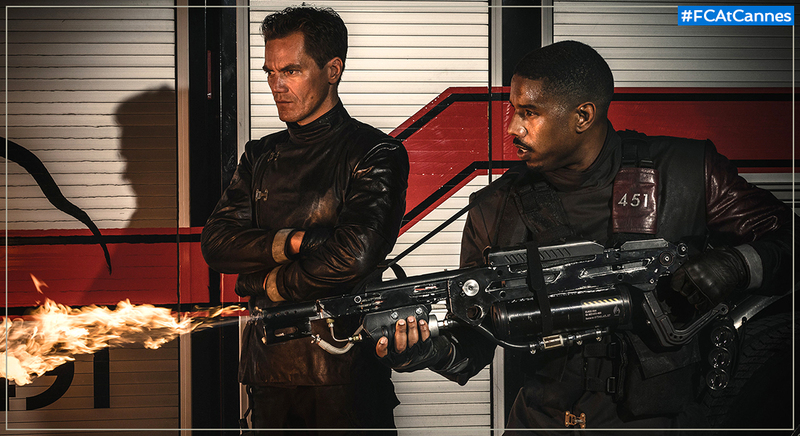 But Fahrenheit 451 features one of Hollywood’s most exciting faces – Michael B. Jordan aka Killmonger from Black Panther. 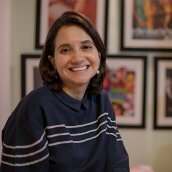 We spoke about the film, streaming platforms and Bahrani’s next project – an adaptation of Aravind Adiga’s Booker prize-winning novel The White Tiger. I read this piece you did for the New York Times on Fahrenheit 451 where you said that, “the more we erode language, the more we erode complex thoughts and the easier we are to control.” This is also what the film is addressing by showing the burning of books. What do you think the millennial audience is going to take away from the film? I love the novel and I encountered it in ninth grade and I think a lot of people first get through the book when they are young, maybe in high school. So, it’s the first movie I made where I was consciously thinking, “I really hope the young audience, like myself when I was in high school, will like this movie.” But I wanted you, as an older person, or me, as an older person, to like the movie as well. That’s a hard balance and I’m hoping we got it right. So when you say that you actually want a younger audience, how does that factor into the filmmaking? Or is it something that you just have at the back of your head? You have it in the back of your head. I mean, the filmmaking is determined by the scene, the story, the actor. I don’t go into a movie with a preconceived notion. I let the movie tell me how to make it. The script, the location, the actors, the atmosphere says how to make it. I mean, I have a real strong plan about how I want to make the movie once I’m in pre-production. But on the day, everything is open. First, we should make sure it’s a scene worth filming which means you see the blocking of the scene with the actors and you watch it with your creative team and you just think, “Is this scene a good scene? Should we film it? Does the plan that I worked on in advance make any sense or should we change the whole thing?” So, you’re always staying alert and awake for change. You also said if a project doesn’t have a social, political or philosophical aspect to it, you get bored. Yes, pure entertainment doesn’t excite me that much. But do you see any value in it? It’s not that I should see or not see a value in it. If it doesn’t interest me, it doesn’t mean it’s bad. So, it just doesn’t interest you as a maker. Does it interest you as a viewer? Not really. But I’m not saying it’s good or bad. I don’t have a judgement about it. Do you watch Hindi Cinema at all? 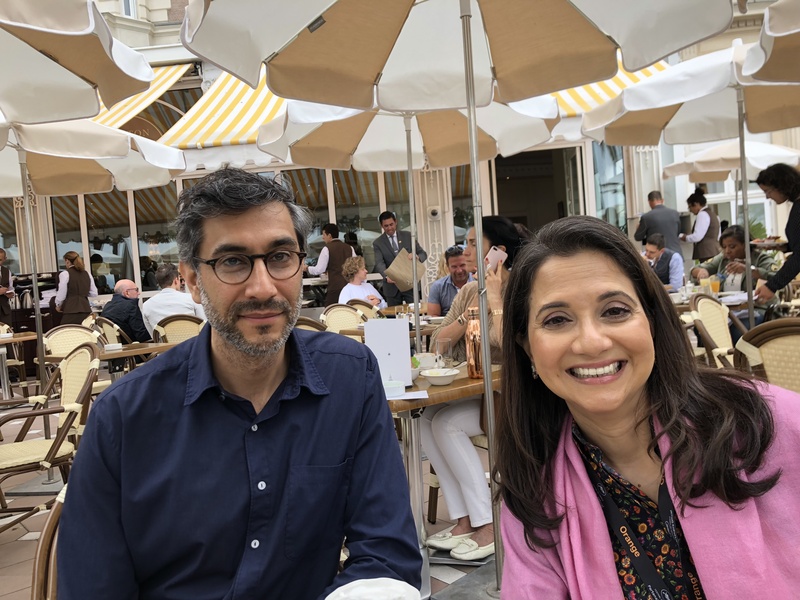 Just before I came to Cannes, I sat down with my partner and I showed her Satyajit Ray for the first time in her life. I also very much like Anurag (Kashyap). We were in the jury in Venice together. I came to know about his film. I like them very much. What can you tell me about The White Tiger? It’s just one of the best books ever written. I think it should be the most important book in the last fifty years. It makes it a big burden. Because you and Aravind Adiga are friends? So many of your films have Aravind’s name in the credits. Yeah, well. I feel lucky that he read my script and gave me notes. Usually when I have some idea for a movie, I talk to him about it and see what he thinks. He’s one of the people I respect most in my life, as a friend, as a thinker, as an artist. What happens when two artists are working together like you will for The White Tiger. How do you interpret his vision? How much do you listen and how much do you add your own? Aravind doesn’t want to really be involved. He told me from the beginning, “I hope you can make this movie and I don’t really wanna be involved and you should do your own vision for it.” I just try to stay true to the vision of what he wrote. So, it may be the only movie I make that he doesn’t read the script of. Are there timelines – when do you start shooting, casting, etc? Not yet, but I would love it to be in production within a year. That’ll be great. You never know how the writing goes fast or slow. When do you start writing it? I’m in it now already. Pretty far into it. After Goodbye Solo you wrote to Roger Ebert where you talked about how you thought about giving up cinema because nobody seems to care anymore. Has that changed? Do you think people care more now? I think art cinema is always very tough. The stories are too sad to talk about. You know, for eight years Bresson never got to make Genesis and then he died, Robert Altman was sent to England for a decade to film plays because they wouldn’t let him film make a feature film and then he came back. For fifteen years Herzog only made documentaries, he couldn’t get a fiction film made and those are the legends of cinema. So the art cinema is always hard but there’s always people who like it and there is always people like you who promote it and write about it as a journalist and as a festival director. And the art cinema is the one I think lasts and the pure entertainment is good – I’m not saying it’s not good – but I don’t think we are sitting and watching a Cecil B. DeMille movie, right now. But we are still watching Pather Panchali. It was made in 1955 but it’s still there like a mountain. Tell me about the Cannes Film festival. There’s a lot of chatter here this year about how the festival has lost its sparkle, the whole thing with Netflix hasn’t worked out so well… As a filmmaker with a movie here, what do you hope this can do for the film? Anyway, it’s Cannes. So many directors coming out of Cannes, you know. When I think of Cannes, I think about Godard who has a film in competition. I want my actors to see the film on the big screen and I hope the audience will like it. What happens when an actor like Michael B. Jordan sort of blows up as you work with him. Is that something you hope will help support the film? Do you think about this stuff at all? Yeah, I mean the success of Black Panther did shine a light on Jordan, which he deserves. He’s not just a great actor but also a great human being; very hard-working, very determined, very ambitious, very focused, and actually is a great guy which is not a normal combination. Usually if you are that hardworking and ambitious you are not always friendly as a person, but he is. He deserves it and it’s good for the movie because it could also make audience discover (Ray) Bradbury’s work. You are working with Netflix. Do you have angst as a filmmaker about what happens to the theatrical model? I just watched Pather Panchali at home on my TV with my partner and at least two times, I was in tears. I was sitting in my apartment watching it on the television. I’m not saying it’s good or bad. And in the moment I retrospect whether I’d go and watch it on the big screen also. If you make a good film like Satyajit Ray did, it will last and the technology will change, but Satyajit Ray will stay. Idiots like Donald Trump will go away quickly but Satyajit Ray will stay. Right-wing politics in other countries will change, but Satyajit Ray will stay. Good art will stay. Thank you for that. That makes me feel better already.